Tickets are on sale now for Beetlejuice at the Winter Garden Theatre on Broadway. It’s Showtime! Based on the hugely popular 1988 film by Tim Burton, Beetlejuice has finally been unearthed for the Broadway stage. The brand new musical features a book by Scott Brown and Emmy Award nominee Anthony King and an original score by Australian singer-songwriter Eddie Perfect, and it even has a couple of signature tunes from the original movie thrown in for good measure (“Day-O (The Banana Boat Song)” and “Jump in the Line (Shake, Señora),” both made famous by Jamaican-American icon Harry Belafonte). Under the direction of two-time Tony Award nominee Alex Timbers, Beetlejuice promises more ghoulish raunch and filth than you could possibly imagine (oh, and the biggest sandworm Broadway has ever seen, of course.) The scenic design by David Korins is a stunningly macabre tribute to Tim Burton himself and the production overflows with special effects by Jeremy Chernick and illusions by Michael Weber that are as jaw-dropping as they are heart-stopping. 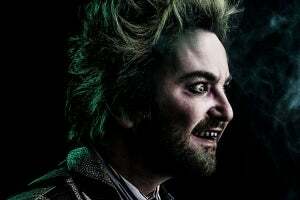 Charged with bringing the ghost with the most “to life” eight times a week is original cast member and the Tony-nominated star of School of Rock, Alex Brightman! Fiendishly good casting, we say, as Brightman revels in the irreverence of the title character, stepping into the shoes (and monochrome-striped suit) of Michael Keaton, who created Beetlejuice on the silver screen, alongside co-stars Winona Ryder, Alec Baldwin, Geena Davis, Jeffrey Jones and Catherine O’Hara. The 1988 movie is credited with firmly establishing Tim Burton as the Master of Macabre and the leader of the gothic fantasy genre. The Broadway musical stays loyal to the source material’s tone and is a true gift for Burton fans across the world. Produced by Warner Bros. Theatre Ventures and Langley Park Productions, whose previous Broadway credits include Charlie and the Chocolate Factory, Misery, The Curious Incident of the Dog in the Night-Time, and Elf among others, the world premiere pre-Broadway engagement of Beetlejuice was staged at the National Theatre in Washington D.C. from October 14 to November 18, 2018. Broadway performances begin on March 28, 2019, ahead of an official opening on April 25. So, buckle up, Broadway fans! Are you ready to meet Beetlejuice... Beetlejuice... BEETLEJUICE???!!! Lock up your kids, folks, he’s back! 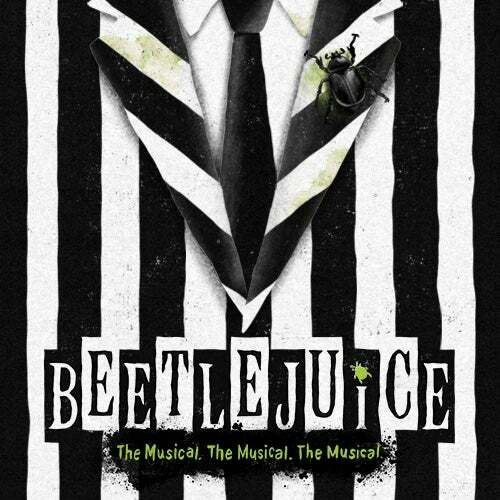 Beetlejuice is ruder, raunchier and frankly, more repellant than ever in this original musical based on Tim Burton’s wonderfully demented film. Beetlejuice tells the story of Lydia Deetz, a strange and unusual teenager obsessed with the whole “being dead thing.” Lucky for Lydia, her new house is haunted by a recently deceased couple and a degenerate demon who happens to have a thing for stripes. When Lydia calls on this ghost-with-the-most to scare away her insufferable parents, Beetlejuice comes up with the perfect plan, which involves exorcism, arranged marriages and an adorable girl scout who gets scared out of her wits. Plus singing and dancing, of course. It's Showtime, folks! The Broadway premiere of the new musical comedy Beetlejuice, based on the hugely popular 1988 Tim Burton film, begins previews at the Winter Garden Theatre tonight, ahead of an official opening on April 25. Beetlejuice features an original score by Eddie Perfect and a book by Scott Brown and Emmy Award nominee Anthony King, inspired by Michael McDowell and Larry Wilson's original story. The production is directed by two-time Tony Award nominee Alex Timbers and choreographed by Connor Gallagher. It's (nearly) Showtime, folks! Casting is now complete for the upcoming Broadway premiere of the new musical comedy Beetlejuice, based on the hugely popular 1988 Tim Burton film, with all principal cast members from pre-Broadway world premiere engagement at the National Theatre in Washington D.C. reprising their respective roles on the Great Fright Way!